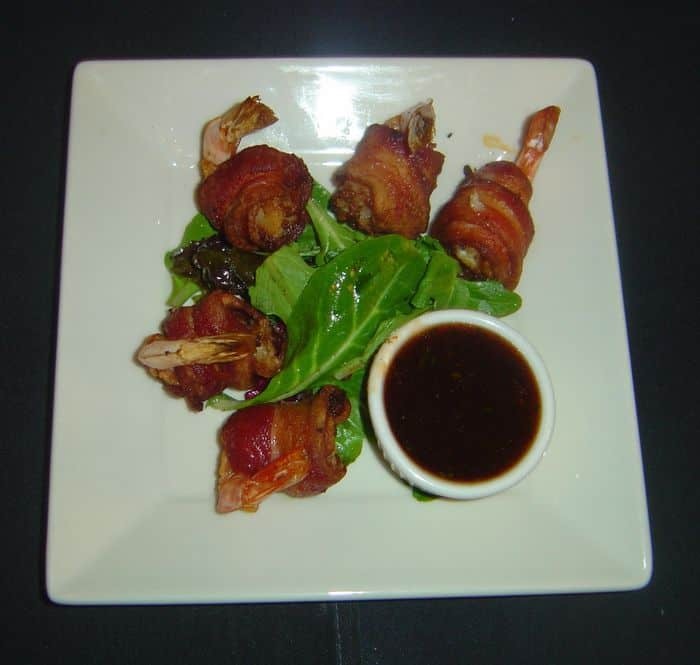 In our quest to create the perfect bacon centered meal, we here at www.Baconfreak.com are using our chef connections to do just that. We contacted Chef Jason who is known for serving up creative recipes from Salt Creek Grille Princeton’s unique natural mesquite wood grill, Executive Chef Jason Hensle specializes in putting a new spin on traditional favorites, like Kobe beef sliders and the restaurant’s famous double cut pork chop. He’s passionate about using fresh, quality ingredients to create simple recipes that bring out a dish’s full natural flavor, without heavy sauces or complex tastes. 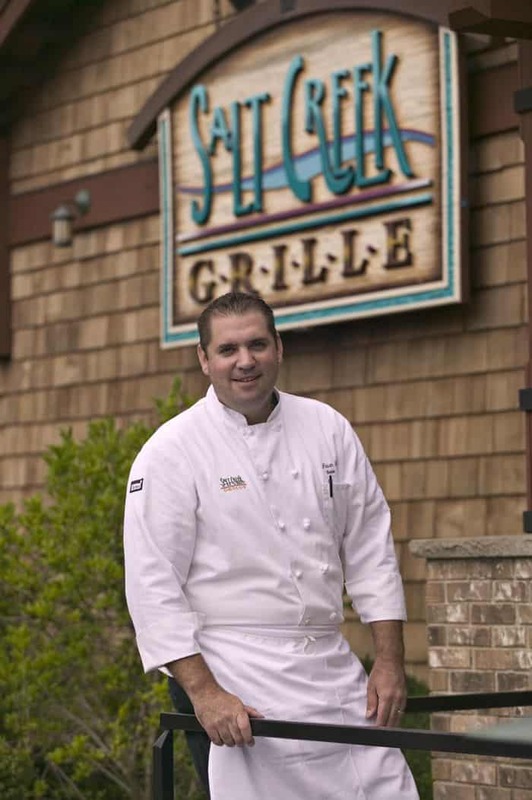 For more information about Salt Creek Grille Princeton, please visit www.saltcreekgrill.com. Salt Creek Grille offers sophisticated fare in a casual upscale setting, putting a creative spin on traditional American favorites. Simple, flavorful dishes emphasize the freshness and quality of the ingredients, with all food made from scratch, on-site. Executive Chef Jason Hensle oversees the restaurant’s open, exhibition-style kitchen, featuring a natural mesquite wood grill that adds a subtle, savory flavor to chops, aged steaks, chicken, market-fresh seafood, grilled vegetables, and more. 1. Pre-cook bacon until translucent. 2. Slightly split shrimp and stuff with Horseradish Mix Stuffing. 3. Wrap with pre-cooked bacon making sure to tuck the end of the bacon under the wrapped part. 4. Deep fry shrimp just before service and store on the line. 5. Bake at 350 degrees until bacon is crisp (approximately 3 minutes). 6. Place sauce in a corner of the square plate. Visit www.saltcreekgrill.com to learn more.